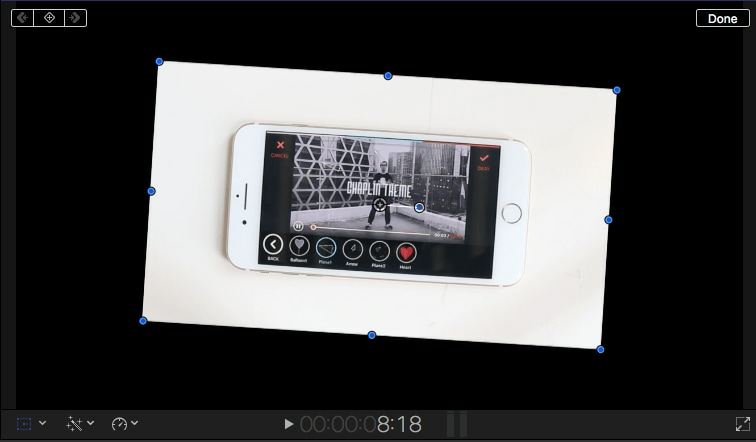 With its user friendly interface and versatile features, Fincal Cut Pro is definitely one of the best choices for making videos for Mac users. 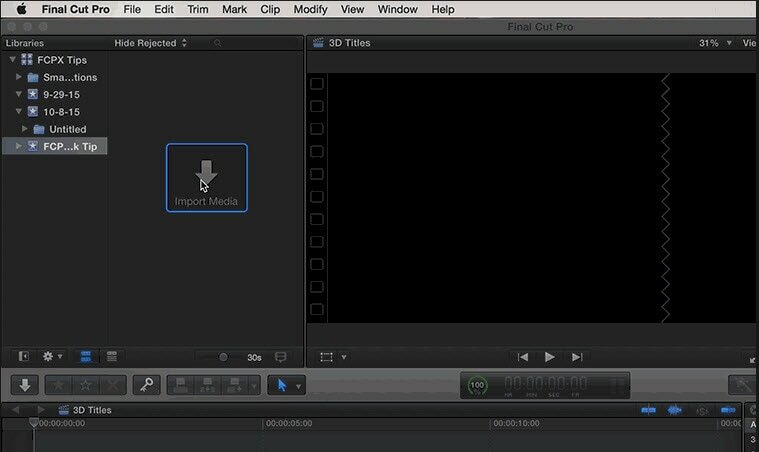 Using it isn't that hard, but it's definitely not a walk in the park, so we've taken the liberty to provide you with a comprehensive yet concise guide on how to edit YouTube videos with Final Cut Pro. Even though FCP is good software, there's no denying that it's pretty pricy and a little bit complicated for most beginners. Wondershare Filmora for Mac is definitely better alternatives for Final Cut Pro. It's a lot more user-friendly and requires no previous experience in video editing. With Wondershare Filmora, you can ignite your YouTube videos with over 300 effects like Fashion, Beauty, Block Buster, Travel, etc. In this section, we are going to take a quick look at the steps that you need to take in order to properly edit YouTube videos in Final Cut Pro. Without any further ado, let's take a look. This is, of course, the first thing that you need to do. Regardless of whether the original footage was taken by your smart phone, taken from the Internet or you've left it over from some past event that's long overdue, you can easily import it into the FCP in order to edit it. FCP supports a variety of different formats, so it's a good idea to try and import the video even if you are not quite sure about its extension. In order to do so, open the program, go to the File button, click on Import and select the file or the folder. This is going to get you to a regular finder window which would enable you to pick the clip that you want to do. If it's not highlighted or you aren't able to select it, the software doesn't support it, and it's not compatible. Keep in mind that if you want to import videos which have been published already, you can download them directly from the channel as MP4 files. If you want to store videos from different channels, you can use the Wondershare Video Converter Ultimate in order to get them converted and stored on your computer in a format that is supported by FCP. That's the fun part. There are a few things that you can do with Final Cut Pro, and they are all quite professional. First, you can sync an audio track with your video as the DSLR cameras usually have terrible quality of the sound. This is why you want to get the audio recorded separately. 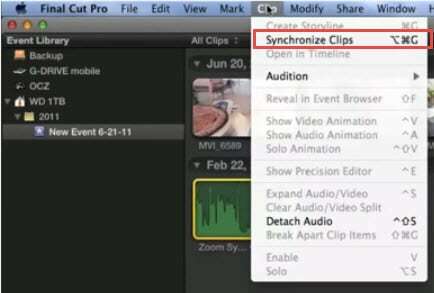 The only thing you need to do is select the audio clip and click on the Synchronize Clips, and you are good to go. Furthermore, you can do proper color balancing with the program quickly and incredibly easy. Go on Modify and then click on Balance Color and the software is going to take care of the rest on its own. You can also create previews when the video ends. In order to do so, you need to import your main clip, select a solid background color and place the preview video above it. You will then be able to trim and edit it conveniently. Adjust the scale and the position and you are good to go. Afterwards, you can also apply annotation on top of the preview. This one is rather easy. Here is the sequence that you need to do. Go to File -> Share -> Master File -> Setting -> File -> Share -> YouTube. That's basically it. Then you need to sign in to your YouTube account and simply click on Next -> Publish and the entire thing is done. 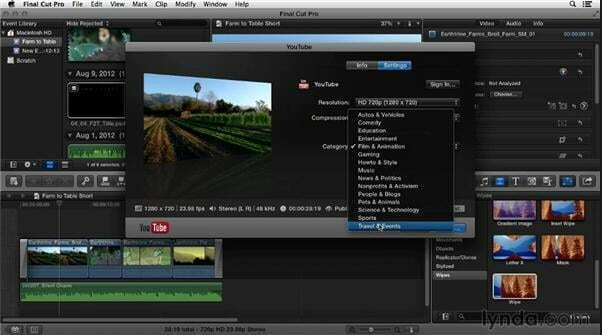 That's all you need to do in order to quickly and conveniently upload your video to YouTube directly from the FCP.